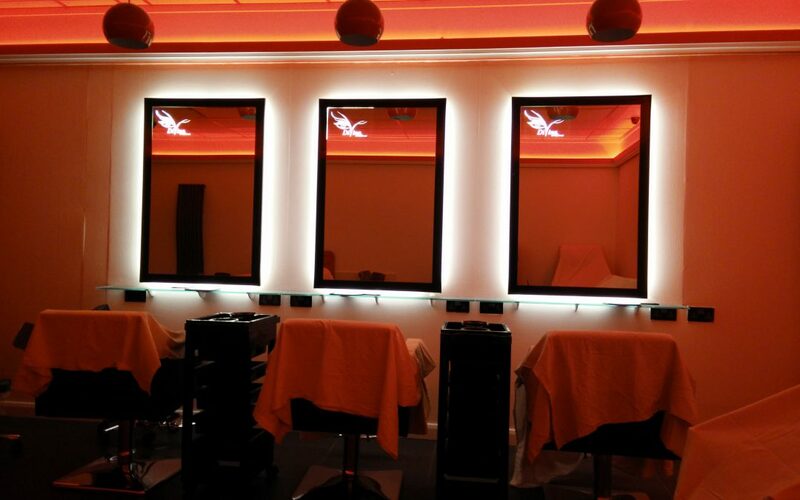 We recently complete these bespoke mirrors for Divine Hair & Beauty. They wanted something striking so we went on and designed them 3 illuminated mirrors. We embedded their company logo as an illumination feature onto the glass mirror as well as illuminating the sides. The result looks quite striking and we would love to do similar projects again, maybe your company logo can also be embedded into illumination?